Recruiting the perfect candidate for your company’s vacant job position proves to be one wearisome task. This is made especially so due to the fact that HR recruiters are usually inundated with a flood of curriculum vitae and resumes from numerous applicants competing against each other for qualification. 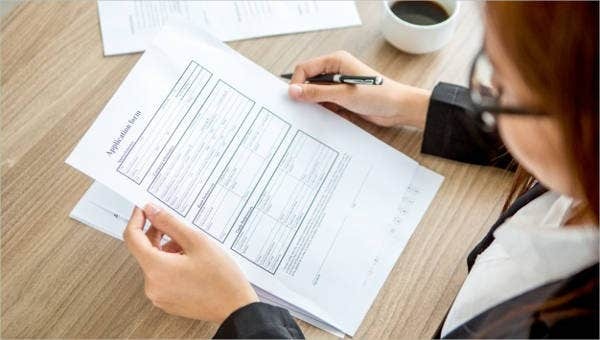 Hence, if you are an employer, a rookie HR recruiter, or even a wizened one, then it is time that you meet your recruitment best friend—the job application form. 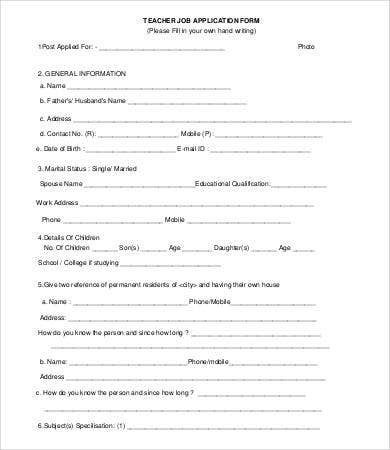 This form can help make your recruitment task easier for you, the reasons for which we will explain below in more detail. 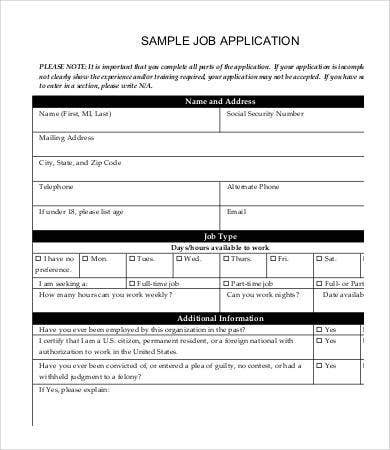 For your convenience, we have collected a variety of job Application Templates for you to choose from. You can download these for free and edit these according to your preferences. 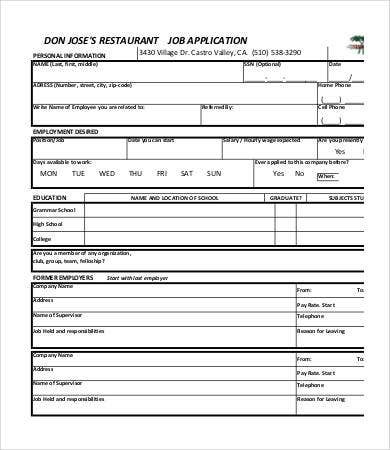 Job Application Form: What is it? 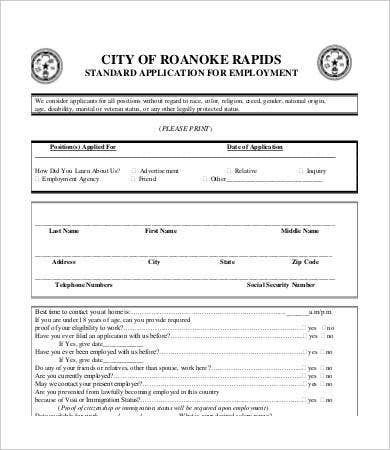 A job application form is a standardized form which recruiters use in order to screen job applicants more easily. 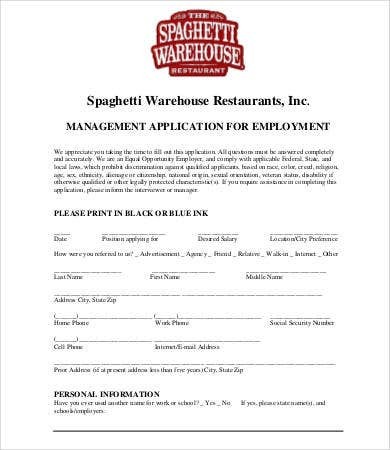 The job applicants are made to fill out this form usually before the initial interview. 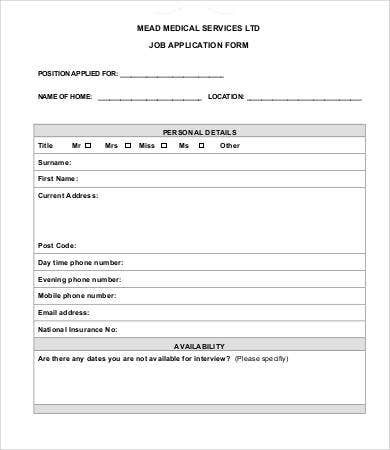 Clearly, job application forms are extremely helpful to recruiters since these forms allow them to scan an applicant’s qualification without having to peruse their well-tailored and oftentimes misleading resumes. So if you are a recruiter, then you will definitely make your hiring process smoother and more efficient by employing this strategy. 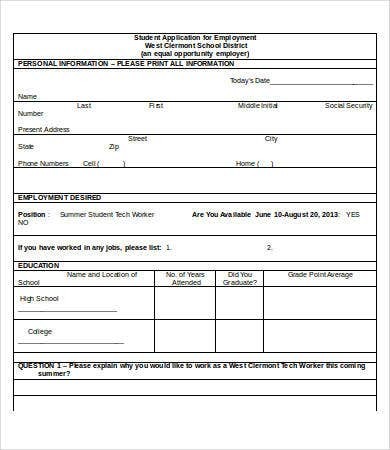 In addition to that, if you are really looking for ways to improve your hiring methods, then you might be interested in checking out our Job Application Template and Employment Application Template. You can view these by clicking on the links provided. Here we list the main reasons why job application forms are marvelous tools of recruitment. As a recruiter, you don’t have to read all resumes in order to screen the right applicants who deserve to be shortlisted in the interview list. 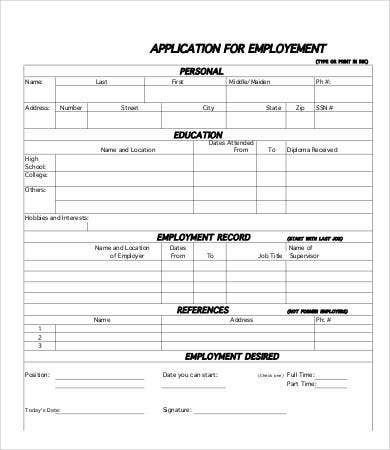 More often than not, resumes are crafted by applicants in such a way that their positive aspects are being highlighted, meanwhile downplaying the more questionable parts of their job history. 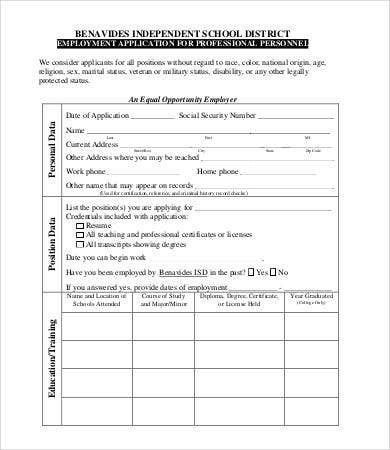 By using application forms, you can ask for the specific information which you deem necessary or relevant in assessing an applicant’s eligibility for the job. 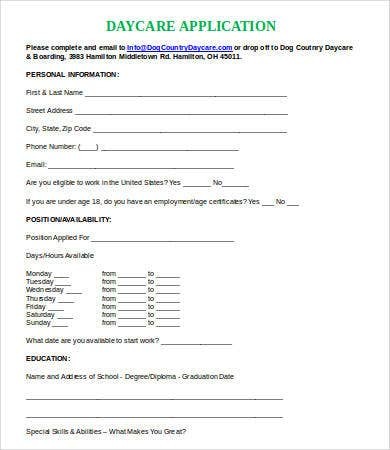 Furthermore, this form is normally filled out on the spot and not online or through text, hence it becomes more difficult for applicants to conjure false information. 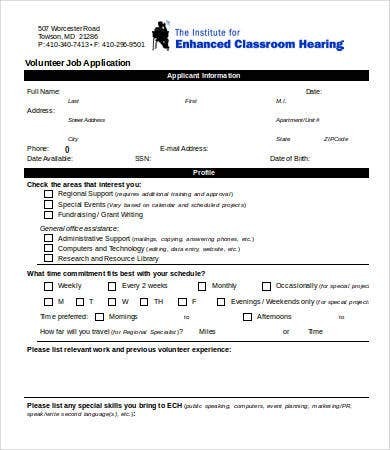 By letting applicants fill out this form prior to an interview, you can prepare appropriate questions for the job interview. This way, your screening method is more efficient since your questions are more targeted and specific allowing you to discover more about an applicant’s background. In relation to all these, you might also be interested in using our Internship Application Template. Simply click on the link provided.